Two very pretty decorative styles based on shades of pink, cream, green and white. Milk Chocolate Cupcakes with White Chocolate Buttercream. Thanks so much for the inspiration! 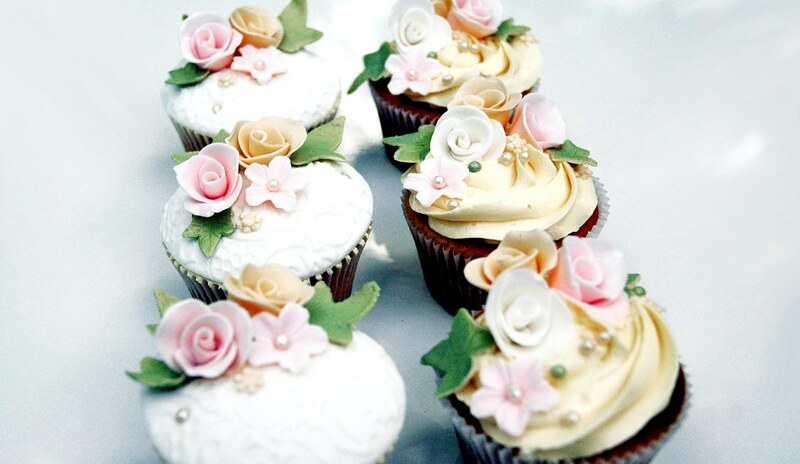 I think these are absolutely beautiful, I hope I am so lucky to have such pretty cupcakes at my one day future wedding! Beautiful work! What did you use to emboss the fondant for the tops? Nike is a brand name synonymous to shoes Nike Air Max 2009 . It's a household name that has accumulated billions in revenue since its humble beginnings. Hogan Shoes Online It's everybody favorite shoe company. Nike was founded in 1962, by Bill Bowerman and Phil Knight in the trunk of Knight's car and was originally started as Blue Ribbon Sports. North Face Jackets For Men Nike emanated from two sources: Bill Bowerman's quest for lighter, more durable racing shoes for his University of Oregon runners, and Knight's search for a way to make a living without having to Moncler Shoes give up his love of athletics. The name 'Nike' was established in 1972 after the winged Greek goddess of victory.